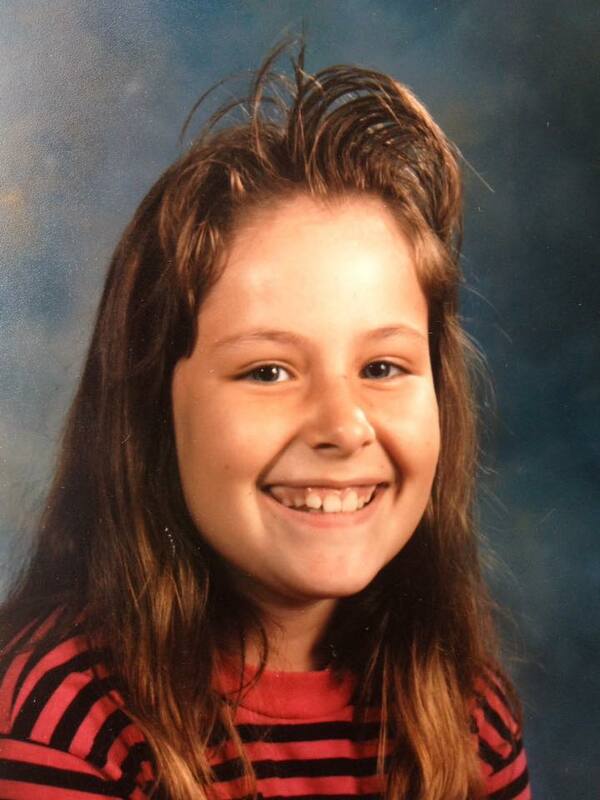 Tuesday was my birthday, and my mom decided to try to embarrass me with a school picture from the early 90s. It didn’t work, because I’ve been wanting a copy of that picture. Why? Because early 90s bangs were insane. I mean just look at the lift and hold! This was a personal choice I made for picture day, and I typically didn’t wear my bangs this high the rest of the time, but I wanted to look cool for the one day of the year (apart from the first day of school) that it really mattered. Also, I could totally work with that hair if I had it now. I’m taking steps toward healthier hair growth, but it will take time before my efforts show results. Getting healthy from the roots out only gets you half an inch each month. 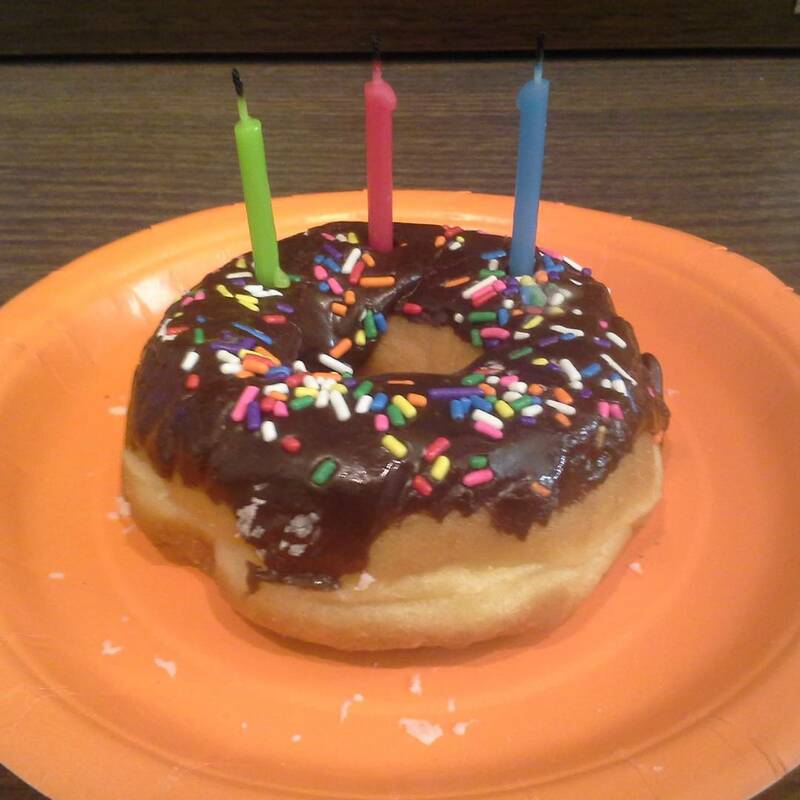 On the unhealthy side, my birthday this year had an obvious theme: Donuts! My boyfriend treats me to donuts and kolaches for breakfast. Then I get to work and find incandescent pastries. My boss says “Have another donut! Calories don’t count on your birthday.” There’s definitely a limit to that. Especially when you’ve already had so many donuts for breakfast that you made your boyfriend finish the last one. I carefully tucked my work donut away for an afternoon snack. The girl in the picture above would be happy to know that my birthday money went to good use this year. 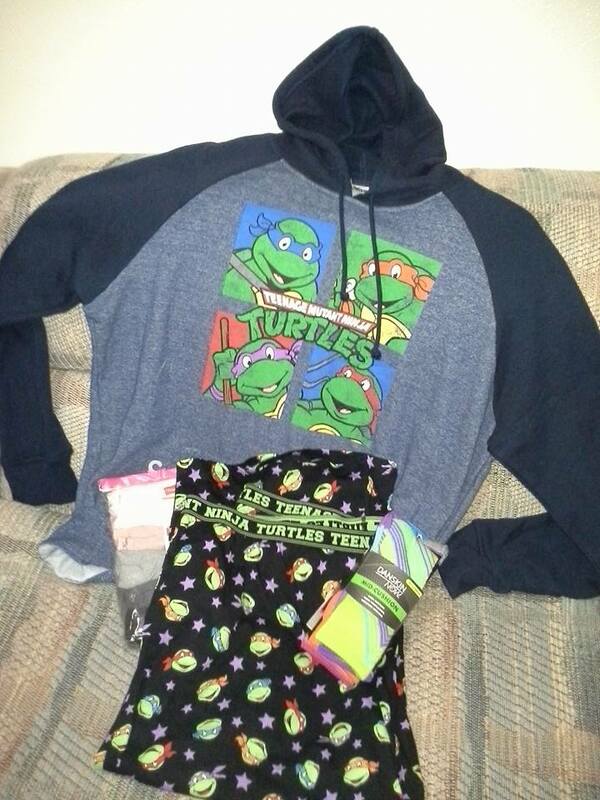 In addition to necessary socks and underwear, I picked up a new pair of pajama pants and a badass hoodie. What can I say? I’m still a kid at heart.